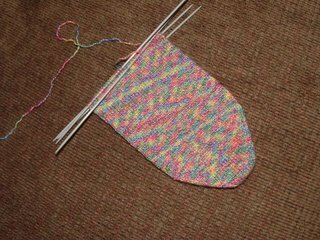 In place of the neon green splotchiness is a neon green spiral traveling up and around the sock. 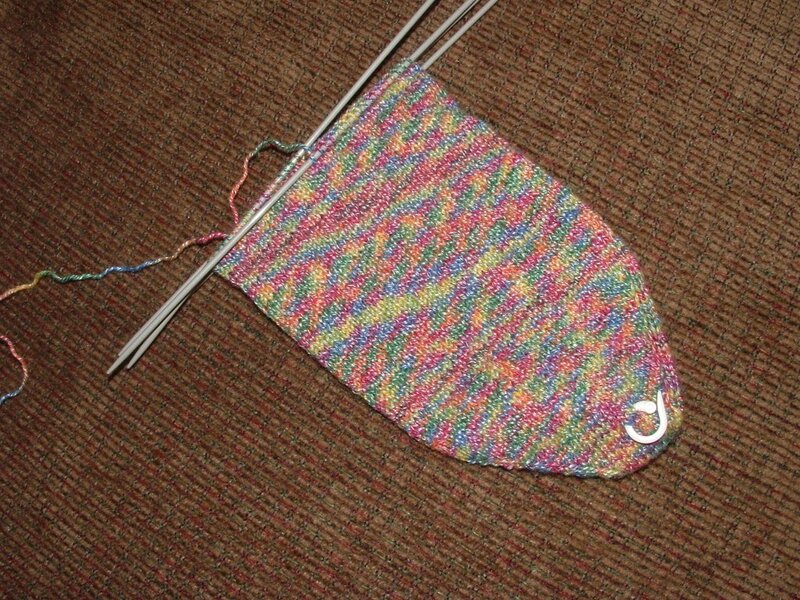 I'm going to knit the foot plain and pattern the calf in Corded Rib. I finally figured out the problem with the Swallowtail Shawl. The shifting double decrease was throwing me off! Brain farts, brain cramps and brain drain, I couldn't keep the freaking chart straight. I got rid of the markers for the repeats and it has been smooth sailing today. Fresh on the needles is Tilia. I'm not liking the Hempathy so much at the moment. Every now and then I miss knitting one of the plies. 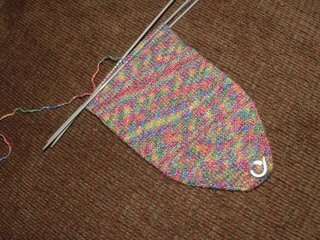 It's not so bad now that I'm on the stockinette portion. I'm loving the border design. 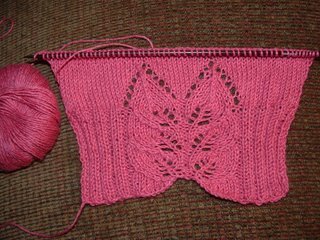 The color is more of a dusty rose and the body has many more repeats of the rib and lace portion. This sweater shouldn't take long to knit (unless I get bored with miles of ss). The fact that it has long sleeves will postpone its debut for a while. ***If you have time read the post "My Prayer" on Neglecting My Kids. My LYS had Hempathy, and I've been thinking about buting some, but I didn't know what to make with it.